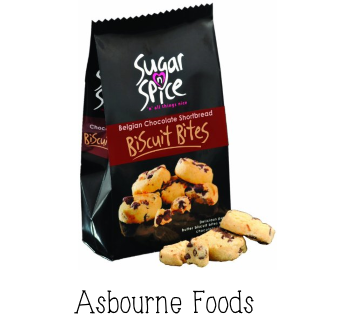 Our team at Ashbourne Foods are passionate about developing great tasting products that really are best in class in terms of taste. We supply a range of premium quality all ambient, wrapped products which have BRC accreditation and great shelf lives. Our Sugar n Spice range offers top quality Bakery Slices, Cakes, Muffins, Cup Cakes and Biscuits, all in eye catching packaging. Our Naturally Nutricious range of healthy eating cereal bars are additive and preservative free with no E numbers! They are dairy free and are approved by the Vegetarian Society.